We always pick up new exciting foods on our Trader Joe’s trips. 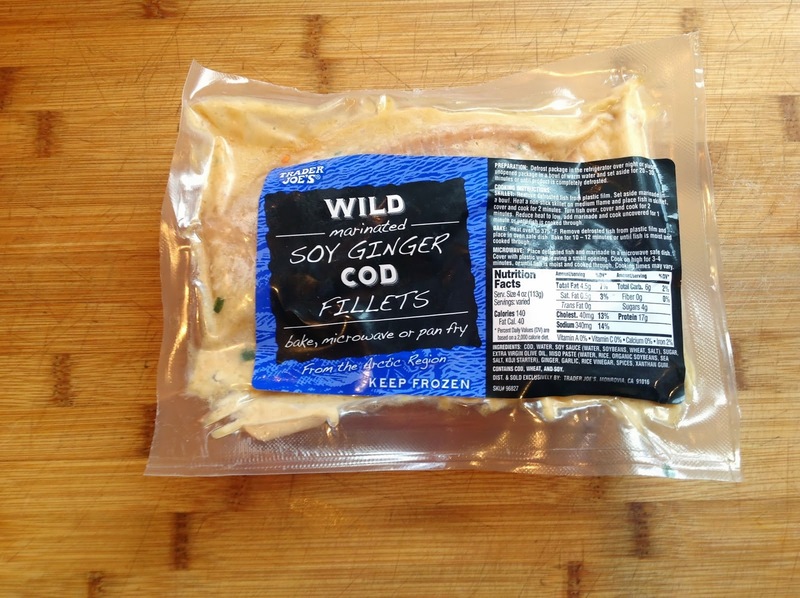 Last time, we bought their Wild Marinated Soy Ginger Cod filets. You can prepare them in the microwave, oven, or pan fry them – we baked them and it was so easy & delicious! We paired the fish with a caprese salad made with Trader Joe’s (Trader Giotto’s) marinated mozzarella cheese, which is soaked in olive oil and Italian spices. The whole dinner took about 15 minutes to prepare! Trader Joe's is located at 3808 W Swann Ave, Tampa, FL 33609 and is open 8am – 9pm every day.